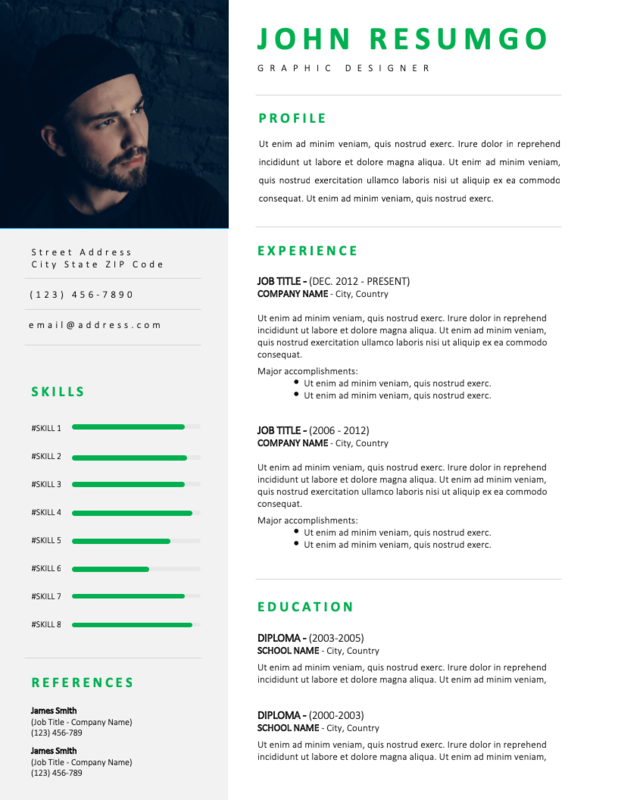 Nereus is a professional and modern resume template. Two-column layout with a grey sidebar and green elements. First, the left-hand sidebar: gray background, full-height and takes up about one-third of the page. It gives you plenty of room to showcase a prominent ID photo, your contact information, your skills (list with bars) and references (if any). Then the main body: feature your name (on top) with your job title, then your personal statement or summary and education). A thin horizontal gray line subtly separates each section. The green color is used to highlight your name, and the section titles (font color), and also for the bar charts.